This is something I made on Wordle a minute ago. it uses words from my blog and makes a little word cloud out of them. 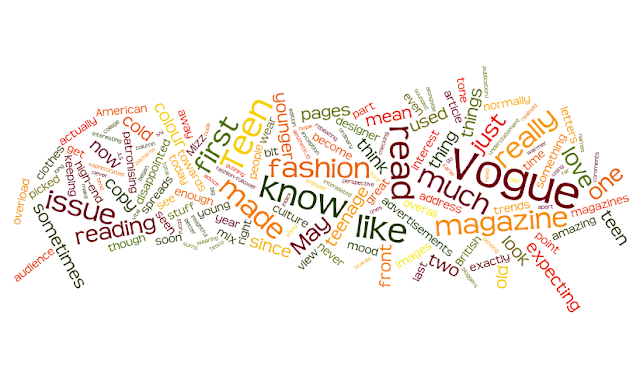 I think it does it by seeing which words you use the most, which shows I must have been saying 'Vogue' a lot recently! 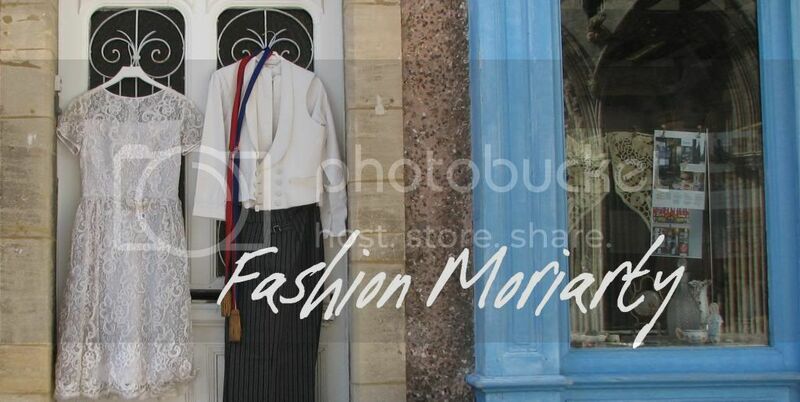 All you have to do is enter the URL of your blog feed and it can make one for you too! pretty nifty. i don't think i'll run wordle. i don't want to know that the word used most on my blog is probably "balls" or "yeehaw"